Jimi Agbaje Quits PDP After Losing Lagos Governorship? 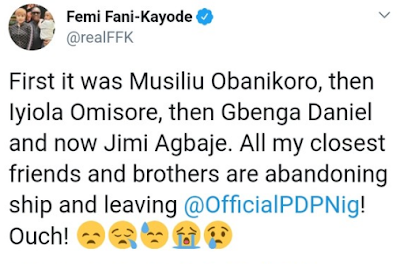 The People Democratic Party governorship candidate in Lagos state, Jimi Agbaje has dumped the party over an unresolved disagreement between him and the leadership of the party in the state. This was contained in a statement made available to newsmen. 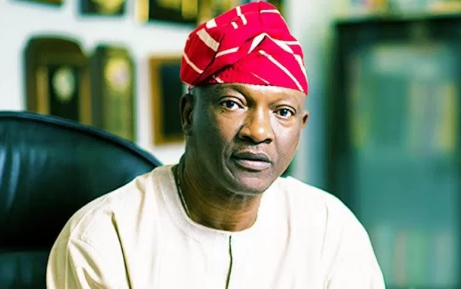 Agbaje revealed that it is necessary for him to leave after a series of allegations that arose after losing the governorship election. "I have tried to remain focused and ignored all the distractions coming from the leadership of the party. I am making the decision after due consultation with my supporters and loved ones for the sake of peace." Agbaje, however, did not disclose if he was joining another party. The former Chairman of the PDP in Lagos, Chief Tunji Shelle, had accused Agbaje of being responsible for the party's poor performance in the just concluded Governorship election in Lagos.